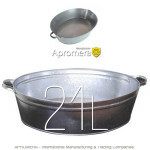 Small oval metal galvanised steel bath tubs / wash tubs / 21 Liters have many uses from dog washer, garden planter, or beer cooler for summer parties. Rustic old fashioned accessories perfect for weddings, parties and events! 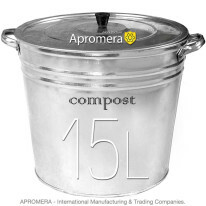 Manufactured to last generations, just like vintage galvanized tubs used to be. Decorate for simple country living. 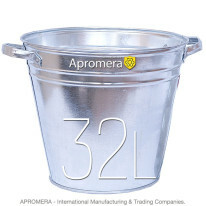 Hot dip galvanized steel creates this tub’s spangled metal finish, traditionally for outdoor uses when exposure to weather is likely. 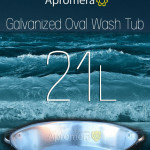 Sturdy design features a wire reinforced top rim, offset ridged bottom for minimal wear to the tub underbody, side body swedges (indentions) for added strength, and is watertight for wet storage. 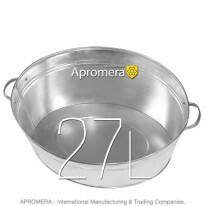 We produce Galvanized Oval Wash Tub of steel with a thickness of 0.55 mm. -0.60 mm. Such production is considered to be a standard quality. It is more resistant to deformation and outside influences. Handles type №1. 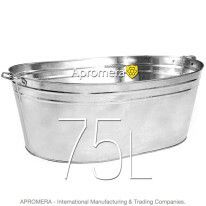 The handles of the Galvanized Oval Wash Tub is made of 0.55 – 0.55 mm steel. 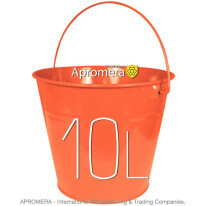 This increases the lifetime of products and their capacity.